Kettle has a genuinly perfected luminare shape in sheer brass or copper, handcrafted in the Lightwork atelier. 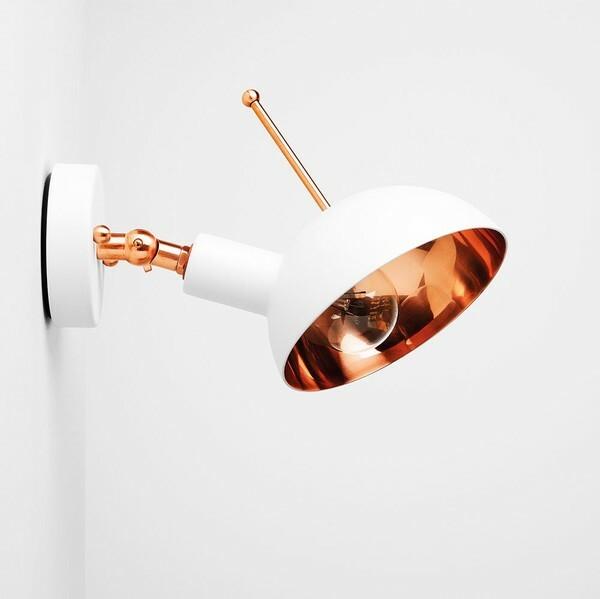 This wall lamp fits well in your living room or bedroom for reading, or why not as kitchen lighting? The round shape of the head creates a distinct, yet mild dispersion of the light. Comes in a wealth of materials and colors. Expected delivery time is four weeks.